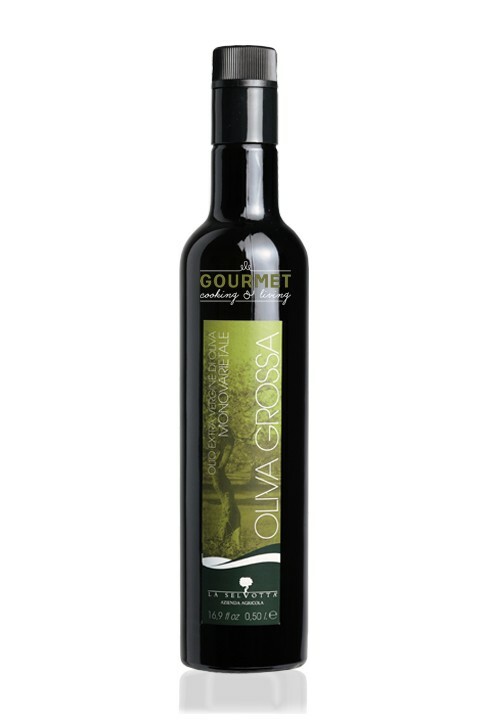 This monocultivar olive oil shows an intense, golden-yellow color. To the nose it expresses elegant notes of freshly cut grass and olives. Its herbaceous taste presents clear notes of almond, artichoke, green tomato and green leaves. Overall sweetness, spiciness, bitterness and freshness are in perfect equilibrium. Excellent on fish and meat carpaccio, grilled fish, white meat stew, salads and slightly aged cheese. Taste: Slight sweet almond taste at first followed by dominant notes of green leaves, grass, artichoke and tomato. Bitterness and spiciness are well balanced.